Work has begun at our new Burnside Township tower site. The Lapeer County Road Commissions has graciously cleared and leveled the area where the tower will be and Motorola/Pyramid Network Services have dug the foundations for the tower, shelter and anchor points. Concrete started flowing into them this morning. This tower will be 350 feet tall and carry digital 800MHz, VHF paging and microwave equipment for our new digital MPSCS radio system. Follow the link below for more pictures of the site work. 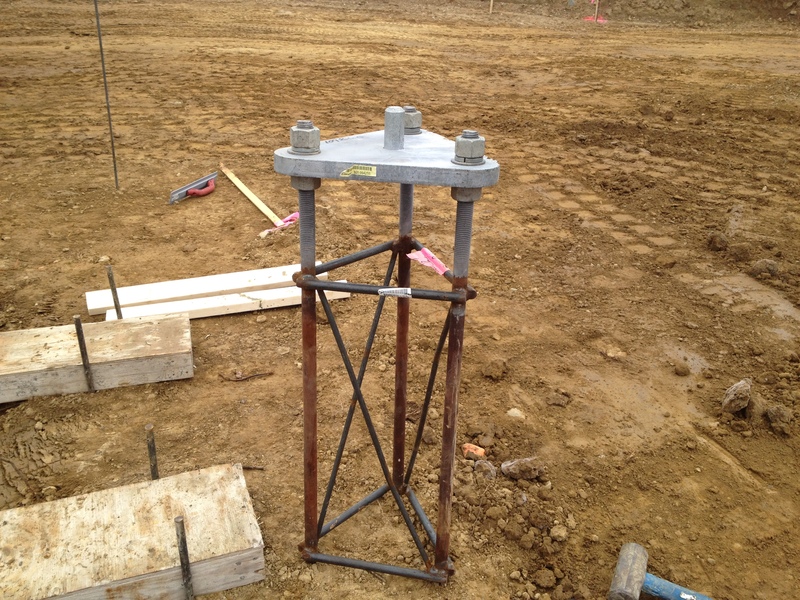 Tower base which will be set in concrete to hold the tower up.